There is a big demand for dedicated laser printers as for many people the extra capabilities of a scanner and copier don't make the cut. Brother HL2130 is one such device. Brother HL2130 has a maximum print resolution of 600 x 600 dpi, with speed going up to 20 ppm. The print quality of black is very good though grayscale prints are below average. The first copy out time is also impressive for a printer of this caliber. The toner life is of 1000 pages and costs can be on the higher side. These costs can be reduced by the use of compatible Brother HL2130 Toner Cartridges. The printer in itself is a compact unit, stylishly designed in a cuboid shape. The feeder tray is a substantial 250 pages which is one of the best in its class. The output tray can also handle up to 100 pages before spilling out. Connectivity options are limited to USB 2.0. The best feature about Brother HL2130 is its simplicity itself. It does a specialized job and does it well. There are no multiple connectivity options, no big LCD displays, just good quality and fast prints. It is easy to use and get used to. Brother HL2130 is a dedicated laser printer which does know its job. While it cannot give color prints, it still has a good amount of functionality in terms of speed and print quality. It is good for those one man offices or small office setups where the major print requirements is of printing documents. 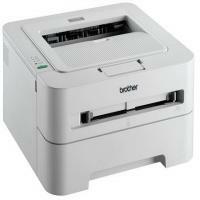 The Brother HL2130 printer is a trusted printer amongst those who want a quick print. The printer has a smart design and comes packed with useful features. You get a set of Brother HL2130 Toner Cartridges when you purchase it. Open the printer by lifting up the scanner unit. Carefully take out the toner cartridge and drum unit assembly. Hold it parallel to the ground using both the hands and shake it from side to side. Do this many times. It will spread the toner within the cartridge evenly and the print will be much better. Check the temperature and humidity of the printer. If the temperature rises too much, it may cause printing quality issues. It directly affects the print quality. You need to cool the temperature of the printer fast. Once it happens you will be able to print properly. Check the indications of the LED screen of the printer. If the printer displays a Replace Toner message then you need to replace the consumed Brother HL2130 Toner Cartridge with a new one before you use the machine. If you notice that the entire page is faded then you need to check the Print Settings for your device. The Toner Saver Mode may be turned on. To turn it off, go to the Advanced tab in Print Setting dialogue box and turn off the Toner Save Mode. You can also change the drum unit and place a new one in the printer. This will improve the print quality. Q. If I buy a multipack of Brother HL2130 toner cartridges but do not use them for a year, will they go waste? How long will they last if unopened? A. You can use most toner cartridges, including these, for up to 6 months if they are stored safely and the packaging is not opened. You don’t have to worry if you don’t use them for up to a year; just make sure that you store them in a cool dry place away from sunlight. Q. Do you stock two-cartridge pack of compatible Brother HL2130 toner cartridges always? If I want to buy the package urgently, will you be able to deliver them soon? A. Yes, we usually have the pack of two toner cartridges that you require and can deliver them within two days if external conditions like transportation and accessibility of your residence are congenial. If your requirement is very urgent, we’d request you to give us a call and let us know so we can make suitable arrangements accordingly. Q. I want to confirm if the page yield of compatible Brother HL2130 toner cartridges that you currently supply is 1,000. A. Yes, each of the compatible Brother HL2130 toner cartridges that we supply print 1,000 pages. Q. Are compatible toner cartridges really as good as the original ones at printing? I’d like to give compatibles (Brother HL2130 Toner Cartridges) a try but not feeling too sure about giving up original cartridges due to quality concerns. Please advise. A. Compatible toner cartridges are in every way as good as the original brand when it comes to quality and performance. Besides, they are actually cheaper cost wise and designed to do everything that original cartridges do. There’s no risk of warranty issues either, and you will be taking an eco-friendly step by using compatible toner cartridges. Therefore we recommend using them to you very positively. Q. Are Brother HL2130 toner cartridges eco-friendly? A. These toner cartridges are basically made from recycled original Brother toner cartridges. Since they are made from material sent for recycling in this way, generation of plastic is reduced significantly. Also, remanufactured cartridges are refilled with ISO standard premium inks, which deem them harmless for the environment and helps in its conservation. Q. I need high level clarity in the documents I print at work. The company recently purchased Brother HL2130 printer for my department. Are compatible Brother HL2130 toner cartridges reliable for that matter? A. Yes, these toner cartridges guarantee sharp print quality in black, which you can rely on for all your professional purposes. The manufacturing process of these toner cartridges also adheres to very high standards, and the fact that they help you save really big makes them great for personal and professional use too. Q. Do compatible Brother HL2130 toner cartridges print more than 500 pages? Will my savings be significant if I replace original toner cartridge that I’ve been using since long? A. Yes; in fact, a single Brother HL2130 toner cartridge prints up to 1000 pages. Opting for these toner cartridges, more so in a pack, would certainly be a cost-effective deal for you. You can very much switch over to these right away. Q. I need a good toner cartridge that can get my printer to print documents really fast. Would you recommend compatible Brother HL2130 toner cartridges? A. You can rely on these toner cartridges as they power the printers they are compatible with to print fast. These toner cartridges incorporate cartridge components that are of top-notch quality and support speed, so you can print really fast when they’re installed in your machine. Q. Are there sellers who deliver supplies like Brother HL2130 toner cartridges within a day? A. Yes, there are sellers who offer ½ day delivery of toner cartridges also at no extra cost. Q I have a Brother HL2130 printer for which I have installed the Full Driver & Software Package, but it seems some applications were not installed (For Windows® 10). How can I rectify it? A. Usually this happens when the installation process was interrupted somehow. If you restarted your computer before the installation was completed it is normal that some applications will not be installed. You can reinstall the Full Driver & Software Package to resolve this issue. Go to Brother site and download the Full Driver & Software Package for your printer model (in this case Brother HL2130) from the Downloads section. Install the drivers and software again on your PC. When the installation will complete a dialog box would appear on your PC’s screen to instructs you to restart your computer. This will apply the changes. However, DO NOT restart your computer yet and click Restart Later. Wait for the installation process to finish in the background. Q. I am trying to connect my Brother HL2130 printer with my iPad but it says "No Supported Devices Found" on the Brother iPrint&Scan app. What is the issue? A. Your Brother machine does not support iPrint&Scan. Q. My Brother HL2130 printer stopped working due to a paper jam issue. What should I do? When the paper jam occurs, an LED indications will be shown on the control panel by flashing Error LED light. Open the front cover and leave the machine for at least 10 minutes to cool down. It is very important to leave the printer alone for sometimes after you have print something. Printing process heats up some parts at the extreme levels and opening the printer right away can harm you. Wait at least 10 minutes for the machine to cool down. To keep the print quality level high, Do not touch any of the internal parts of the printer. For example the print path, drum unit, corona wire etc. Gently take out the Brother HL2130 toner cartridge and drum unit assembly. It is possible that the jammed sheet comes out with the drum unit and the toner assembly. Or this releases the sheets in the input tray so you can pull out the paper tray. Close the front cover of the device after putting the drum and toner aside. Again use bath the hands and gently pull out the papers stuck at the fuser limit. Push down the green lock lever and take the Brother HL2130 toner cartridge out of the drum unit. Check if there are any jammed papers in there. If yes, then pull those out and clean the drum unit with clean cotton cloth. To avoid print quality problems, DO NOT touch the drum roll or the print path of the printer. Put the Brother HL2130 toner cartridge back into the drum unit and push it in until you hear a ‘click’ sound to confirm the cartridge is placed properly. When the cartridge is firmly placed inside the drum unit the green lock lever will lift automatically. Open the front cover. Put the drum unit and Brother HL2130 toner cartridge assembly back into the device. Close the front cover. Make sure that the Error LED is off and then, the Ready LED lights are on now. If the machine does not start printing automatically, press the Go button.